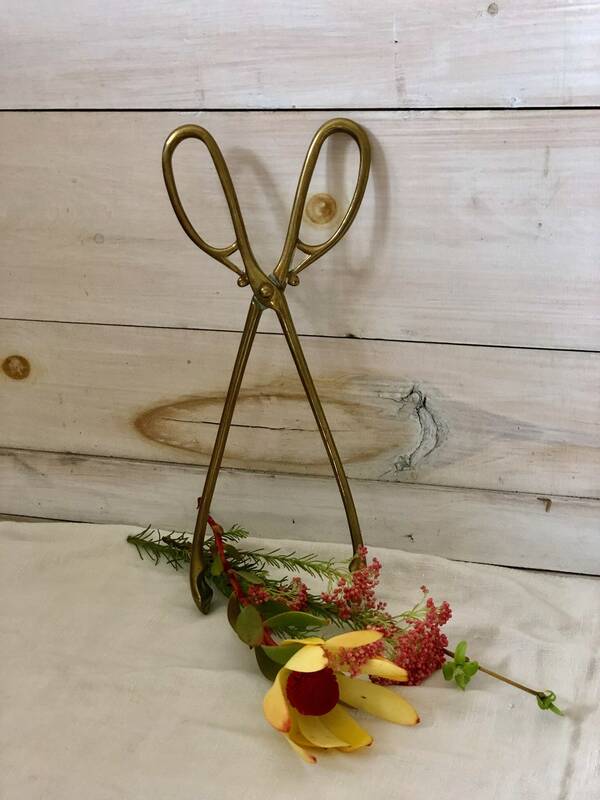 Antique brass fireside coal tongs. Nicely made from solid brass with a great patina showing their age. Measures 11.5” tall by 4” wide.